The price for membership is $597.00 now and then $397.00 per Year. The primary domain where you plan to use Paid Memberships Pro. Paid Memberships Pro and all Add Ons, unless otherwise stated, are licensed under the GNU General Public License (http://www.gnu.org/licenses/gpl.html) version 2.0. In fact, you can do pretty much anything you want with our code as long as you follow the GPLv2 guidelines by applying the GPLv2 license to any altered or unaltered versions of our plugins that you distribute. (a) Give your software a name other than “Paid Memberships Pro” or “PMPro” to avoid confusion. Plugins sold and distributed by Stranger Studios, LLC, are done so in the hope that they will be useful, but WITHOUT ANY WARRANTY; without even the implied warranty of MERCHANTABILITY or FITNESS FOR A PARTICULAR PURPOSE. Inasmuch as WordPress functions correctly on a clean install of itself, Paid Memberships Pro is guaranteed to function on a clean install of the minimum, stable and required version of WordPress for Paid Memberships Pro and our Add Ons. Because the number and variety of plugins is vast and wide, we do not guarantee that the plugin will function with all third-party plugins, themes or browsers of any kind. We do not guarantee that the plugin will function with all combinations of our Add Ons and code gists active. We do not assume responsibility and will not be held responsible for any conflicts or compatibility issues that may occur due to third-party software. We assume no responsibility for any data loss as a result of installing or using Paid Memberships Pro. Should conflicts occur with third-party software, we may provide support at our discretion. Additionally, we are not liable and will not be held responsible for any personal loss, site damage, site errors, theft, fraud, loss of profits or revenue, loss of business or opportunities, or loss of customers or clients as a result of installing or using Paid Memberships Pro. Stranger Studios, LLC, sells and distributes Paid Memberships Pro and other plugins "as is" and with no implied meaning that they will function exactly as you would like, or that they will be compatible with all third-party components and plugins. 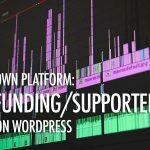 Support for plugins sold and distributed by Stranger Studios, LLC, is only available for those who have an active, paid license. Paid Memberships Pro is no longer actively developed as a viable product under Stranger Studios, LLC. Stranger Studios is purchased or bought out by another company. Paid Memberships Pro is sold as a one time payment or an automatically recurring subscription that renews each year on the anniversary of the purchase date. You may cancel your subscription at any time from your Account page on the Paid Memberships Pro website. If you choose to cancel your subscription you will no longer receive updates and support for Paid Memberships Pro when your license expires. Grandfathered pricing: If you choose to cancel your subscription, and your renewal price is lower than the current listed price for your license (a "grandfathered" price), the lower renewal price may no longer be available to you. If you choose to cancel your subscription your membership will expire on the anniversary of the original purchase, and you will no longer receive updates and support for Paid Memberships Pro. Stranger Studios, LLC grants each customer a non-transferable license to use the software for internal use, and as defined by the terms set in the customer's chosen license package (Core, Plus, Unlimited). The customer/license-holder may not on-sell the originally-purchased license key provided by Stranger Studios, LLC, to other users of the license (such as clients) for commercial benefit. Additionally, the customer may not sublicense, to any person or entity, any rights to distribute the software or license key. Stranger Studios will only provide support services to the original customer/license-holder with a legitimate license key, and consider any other uses of this license key for support queries as fraudulent. Automatic updates are available to license holders who have an active and valid subscription and license key. Automatic updates are available for Paid Memberships Pro and all other installed Paid Memberships Pro Add Ons. Automatic updates are available as long as the license key generated from the purchase is valid and active. Should you not receive an email containing your information, you can contact us through https://www.paidmembershipspro.com/contact/ to request your purchase information. All plugins are property of Stranger Studios, LLC. Claiming any type of intellectual or exclusive ownership rights of our products is strictly prohibited. All content found on this site and throughout the plugin including images, documentation, support queries and any other information is property of Stranger Studios, LLC and may not be redistributed without permission or consent. 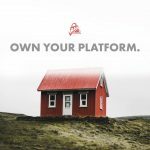 Stranger Studios, LLC, reserves the right to modify, change, cancel or upgrade a plugin subscription and/or license key without prior notice or consent. Prices of all products are subject to change without prior notice or consent. If within 30 days of purchase you decide not to use our software and services, you may request a full refund. To obtain a refund, you will have to contact us at https://www.paidmembershipspro.com/contact/, including the username, email address, and name on file for the account you wish to cancel. At that time, we will cancel your membership and refund any one-time payment made. Stranger Studios, LLC, may occasionally send you emails related to the purchase of product(s) from our company. We may also send you occasional email newsletters relating to Paid Memberships Pro updates, promotions, Add Ons and the like. We will never sell or release your email to any third party vendors. You may opt out of these emails at any time without penalty. Stranger Studios, LLC may terminate your access to all or any part of our Services at any time, with or without cause, with or without notice, effective immediately. If you wish to terminate this Agreement or your Paid Memberships Pro account (if you have one), you may simply discontinue using our Services. All provisions of this Agreement which by their nature should survive termination shall survive termination, including, without limitation, ownership provisions, warranty disclaimers, indemnity and limitations of liability. Plus or Unlimited Membership includes a 100% money-back guarantee. If within 30 days of purchase, you decide not to use our software and services, you may request a full refund. To obtain a refund, you will have to contact us, including the username, email address, and name on file for the account you wish to cancel. At that time, we will cancel your membership and refund any one-time payment made.